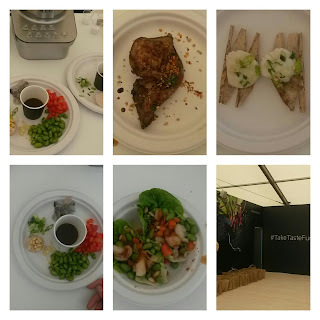 Taste of London runs in Regent's Park from June 15-19th. 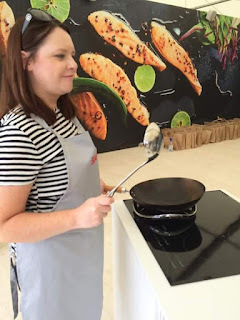 I popped along on Thursday 16th with Karen from StemAndGinger for a pop at some of the best food and drink our fabulous city has to offer. Whilst waiting at the tube station I spotted a few well-known faces like Valentine Warner and Michael Portillo (that renowned foodie!?) heading to the Purple Garden, and inside a wealth of talented chefs, restaurateurs and food loving fans. I love this place. 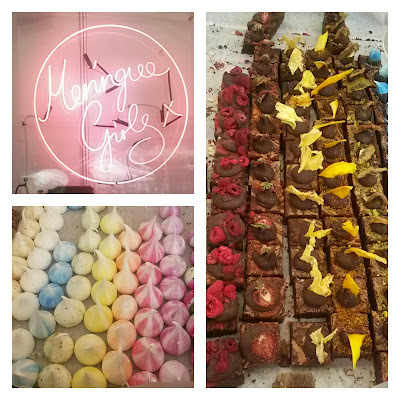 I've visited their King's Cross restaurant as well as their Bankside launch and even took at sherry flight at Bar Pepito. 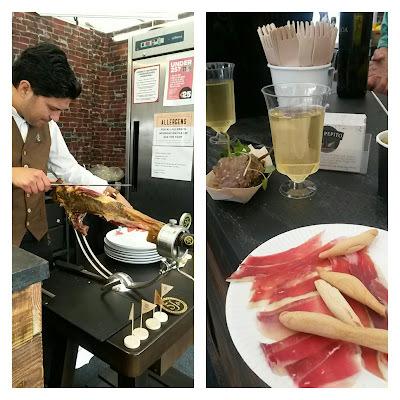 Fantastic authentic tapas with each drink, superb wines, and on site Iberico ham charcuterie carving. A mango shrikhand (that's Sanskrit for 'curd') with summer berries and cardamom meringue from this renowned Indian restaurant. Beautifully presented dishes with fantastic flavours. We all long to frequent the D&W on the 40th floor of the Heron Tower. 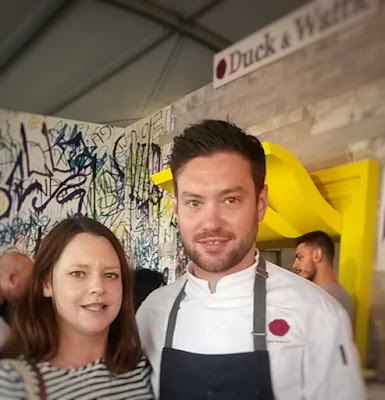 I've yet to have the pleasure, but bumping into Dan Doherty himself it's only a matter of time - he's a thoroughly down to earth guy and made us feel super special. We certainly couldn't pass by these guys without saying hello. 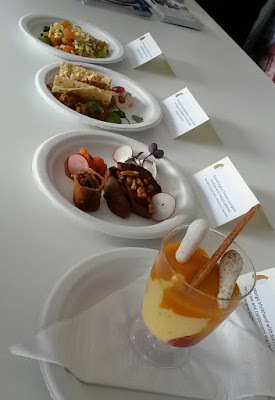 Chef Nev gave an inspiring and informative masterclass where we got to cook up (and then eat!) spiced roasted quail, steamed scallops and lettuce cups with prawns. Chef Jeremy walked amongst the wokkers, luckily for me (too much oil!) giving tips and guidance. Awesome goody bag too! 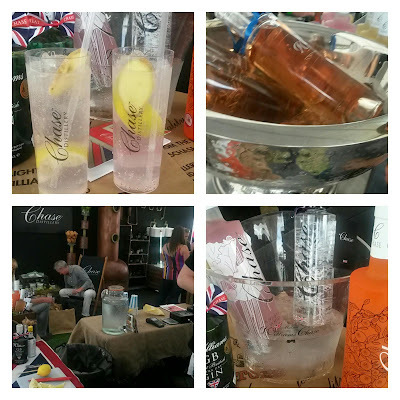 Charming boys tempted us in to sample a crystal clear and crisp gin with tonic - a classic, as well as a gorgeous sloe gin with lemon tonic. 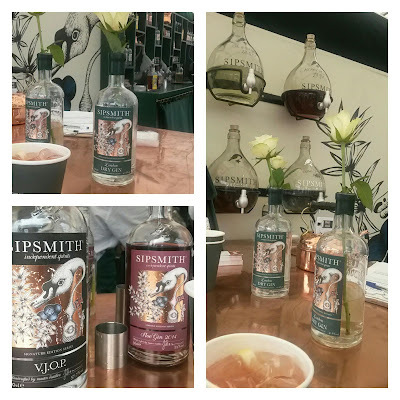 Quirky and cool, proper artisan gin, copper-distilled from right here in London. 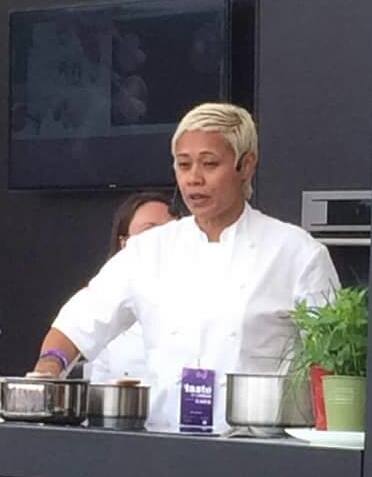 Whilst sipping our rhubarb vodka cocktail we watched Monica Galetti sporting her new peroxide crop, whip up some sort of apricot parfait, making it look super easy, whilst explaining her tattoos (Samoan traditions) and her busy busy schedule. 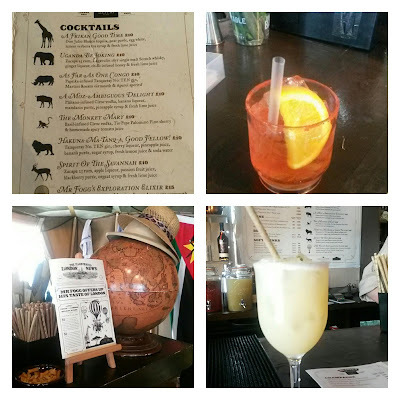 A lavish colonial pop-up serving Gin&Tonic and wonderfully refreshing cocktails with hilarious names. The light and airy tent houses eclectic décor, vintage paraphernalia and staff dressed in proper colonial khaki with obligatory safari hats. We sure had a Frikan Good Time here! 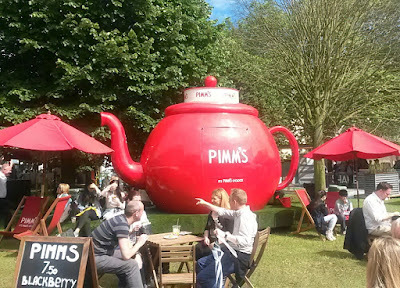 No better time to bring out the Pimms teapot! These girls are everywhere! Always beautifully presented, always delicious. Our coconut and raspberry brownie was the perfect sweet finish to the day. Overall a great day - rain or shine, wellies or sandals, Taste is a great day out. If nothing else, check out the loos - the cleanest, nicest-smelling portaloos I've ever seen, with vintage wallpaper and scented hand cream. As with any restaurant, if the loos are good, then the restaurant must be too. 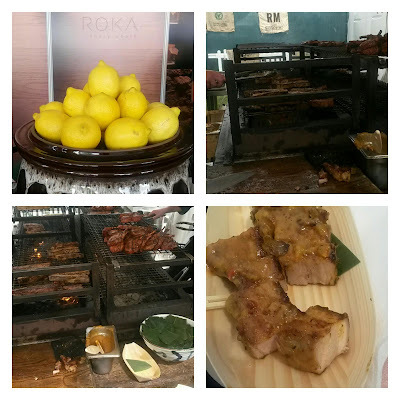 Taste Of London continues this weekend - June 15-19.